With style and top notch vocal skills LaMont Wheat is an LA based singer-songwriter and one of a kind singing Renaissance man who is being sought after by producers and labels for his catchy melodies and lyrics. A reedy vocal reminiscent of a cross between Teddy Pendergrass and Luther Vandross with modern swagger LaMont’s big voice is quickly gaining popularity. Originally, from Texas, he realized his passion for music early on and founded his high school’s first inspirational choir “Voices of Youth,” and in college LaMont sang gospel music as part of a trio that toured nationally as an opening act for many Gospel greats such as Shirley Caesar, John P. Kee, Kirk Franklin, Yolanda Adams and Daryl Coley. LaMont wrote and produced his first CD entitled “Love Goes On” which he released on his LaMont Music label in 2004 followed by the release of “That Girl” in 2006. LaMont has performed abroad in London, Oslo, Berlin, Cologne and Acapulco. In 2003 he was featured in the Brotha’z Fashion Show to raise money for the Boys and Girls Club of Greater Dallas. In 2006 LaMont relocated to Los Angeles where he continues to sing, write and perform and he has shared the stage with artists such as PM Dawn, Kelly Price, Faith Evans, Joe, Jennifer Hudson, Brian McKnight and Jennifer Lopez to name a few. Keeping in tune with his Gospel roots he is affiliated with the legendary Los Angeles Gospel Messengers, a community choir founded by the late Rev. James Cleveland. In 2009 LaMont was featured in a major network broadcast, the FOX “Good Day LA” Christmas morning concert. Music is his first love, but LaMont has done some acting and modeling during his career and was featured nationally in the CompUSA “UNMATCHED” Home Networking program advertisements. LaMont believes in giving back to the community and in 2003-2006 led a team in the Light-the-Night Walk for the Leukemia and Lymphoma Society’s nationwide evening walk to raise awareness for blood cancers and funds for cures. 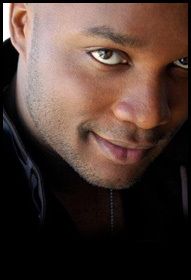 In 2010 LaMont contributed his time and talent to the Chicago chapter of CAAF (Children Affected by AIDS Foundation). He currently supports One Heartland and the Trevor Foundation through his online self help publication, BBINT Magazine, where a portion of the proceeds go to charity.